I am now en route to PNG and my adventure has begun. 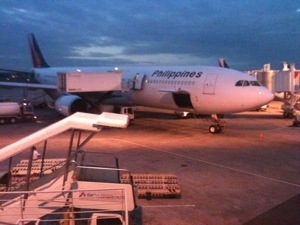 I left just after midnight and it took 13 hours and 45 mins to reach Manila in a Boeing 777. 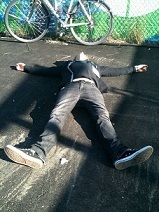 I was so tired that I dozed off right after boarding and was woken by the aircraft taking off. A full meal was served at around 01:00, which seemed a bit odd – kind of like going out drinking and then craving poutine. I didn’t thnk I was hungry but once I started eating I discovered that I was as ravenous as a drunken redneck scoffing pizza in the street late at night – except I was eating a tenderloin while sitting in Business Class. The individual tubs of Häagen-Dazs were so cold that the sturdy metal spoon just slid off and barely scratched the surface lke a zamboni driver in training. 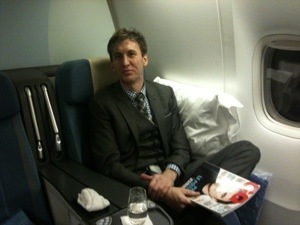 My flight to Manila was comfortable. I don’t usually sleep while flying but I could lay flat and so I managed a few hours of precious sleep. For the other 11 hours, I watched every action movie on the play list. If it involved automatic weapons and rooftop pursuits then I was all over it. I arrived in Manila at around 06:00 and the temperature was already 36 degrees. I guess one has to expect that this close to the equator. I disembarked and found my baggage carousel. Manila surprised me right from the start. There is a Hot Dog stand near the gate. I’m sure most people’s first thought upon arriving in the Philippines is “Where can I find a hot dog?” There was also a live bluegrass band playing John Denver’s “Country Road” as I waited for my bags. The first thing that I noticed when I left the airport building was the smell of the tropics. That unique combination of humidity and heat that one encounters in this part of the world. It brought back strong memories of living in East Timor. Next came the chaos of the developing world. I found a washroom and ditched the waistcoat and tie so I could cope with the heat. Then I hid my valuables before facing the crowds. The only ATM near the arrivals area is right in front of the hundreds of people waiting for relatives to arrive. I decided that it was a bad idea to withdraw cash in front of an audience so I found an ATM on a different floor. Armed with a wad of Pesos, I found a cab driver named Jhun and asked him to take me to a place called Makati where the Flight Attendants had told me I could relax for the day. The cab had no seat belts and Jhun had lied about knowing the destination – taxi drivers not knowing their own city is also pretty typical for this part of the world. So as we drove along he chose the “Phone-a-friend” option and dialed the full number and then obtained directions that way. After multiple phone calls, including one to his wife to ask her to transfer credit to his phone, he seemed to know the way to go. 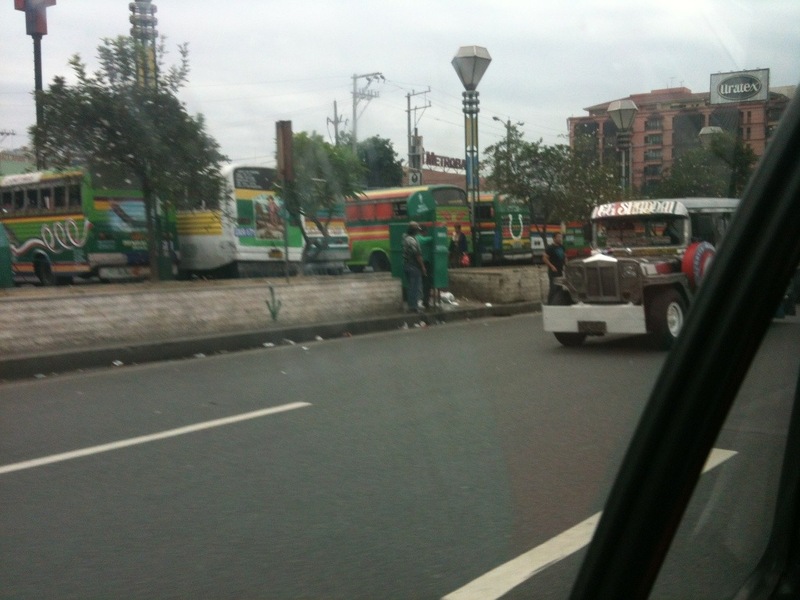 We crawled through thick traffic for what felt like an hour – fettered by an army of Toyotas, and the ubiquitous taxi trucks that one sees throughout Manila – always painted and decorated in the most gaudy colour schemes. Vehicles wander across the lanes as if the markings have no meaning whatsoever. Jhun was coughing frequently and would occasionally open his door while driving so that he could spit on the ground. After a while, it became clear that Jhun still didn’t know where he was gointhese I decided to go with Plan B, which was the nearer (and apparently better-known) of the recommended destinations – Macapagal. Jhun seemed freshly confident and soon, we were traveling through areas of high-density buildings haphazardly constructed – just like those I’d seen the night before in “The Bourne Legacy”. These biizarre collections of bricks, steel, and corrugated iron, with electrical wites strung like spider webs between the densly-packed constructions. Jhun navigated the traffic with practiced expertise, although he did frighten me on occasion – like when he cut through a service station to avoid an intersection and almost hit a middle-aged man on a BMX bike who had stopped briefly on the street to pick his nose. I went to a huge shopping district known as the “Mall of Asia”. It is quite impressive and up-market. It is built on land reclaimed from the sea and it is part of a rapidly-growing district that is reminiscent of Dubai. One must pass through airport-style security to enter the mall and the security guards carry shotguns. There are loads of high-end stores with North American products and prices. Most stores have greeters. In one store called “Toy Kingdom”, all the staff greeted me with, “Hello Sir. Amazing day”. 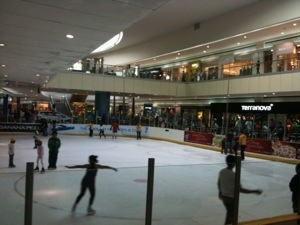 There is even an indoor ice rink, despite the blazing heat outside. Filipinos are generally very Westernised in their dress and tastes, from what I can observe. That certainly makes sense given their historical ties to the U.S.A., but there are clearly strong European influences here too. They seem like very friendly and cheerful people, from what I have seen so far. 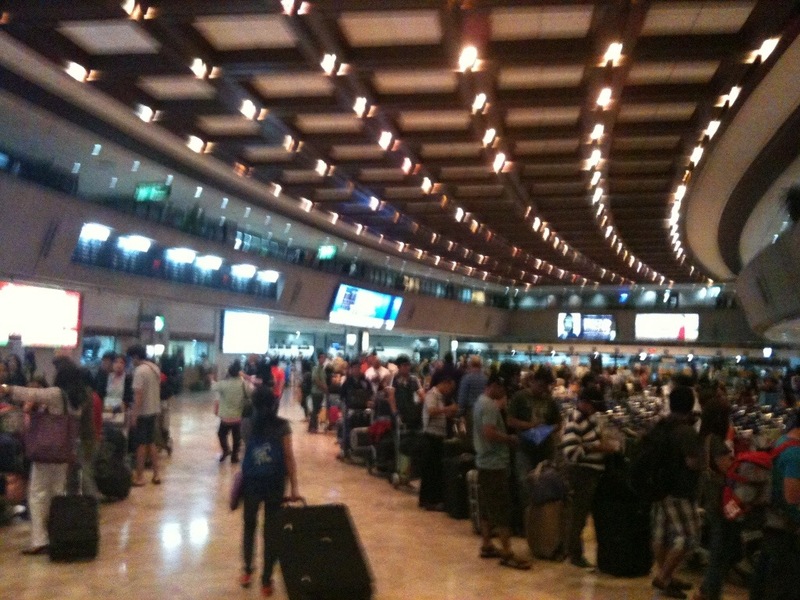 I returned to the Manila airport with time to spare and I am now about to board my flight to PNG. Next stop: Port Moresby!